If you have been following my blog for long you probably know that I totally geek out over math centers in the classroom. 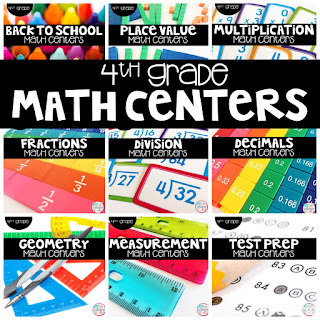 I think math centers are THE BEST way to differentiate and meet all of your students' needs. 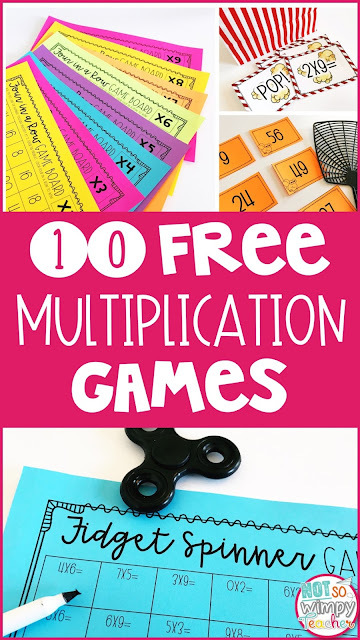 I wrote an entire blog post series about how I run math centers. It is a must read! 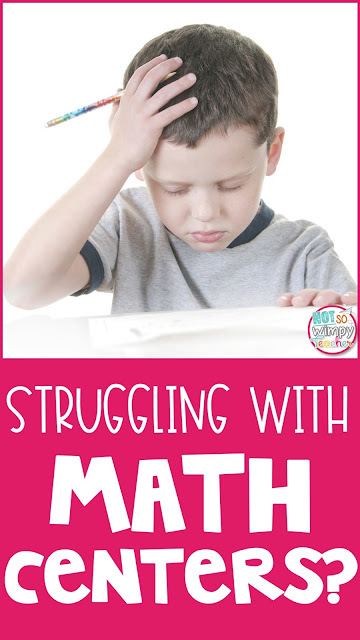 Here is the thing: Even if you have the best math center routine and activities, you are still going to have some students who struggle during math center time. Sometimes you have students who don't behave during center time. Other students may not get their work completed or find the work to be too hard. This is normal! I typed up some of the most common math center challenges and provided several suggestions. What should I do if students are not behaving during center time? 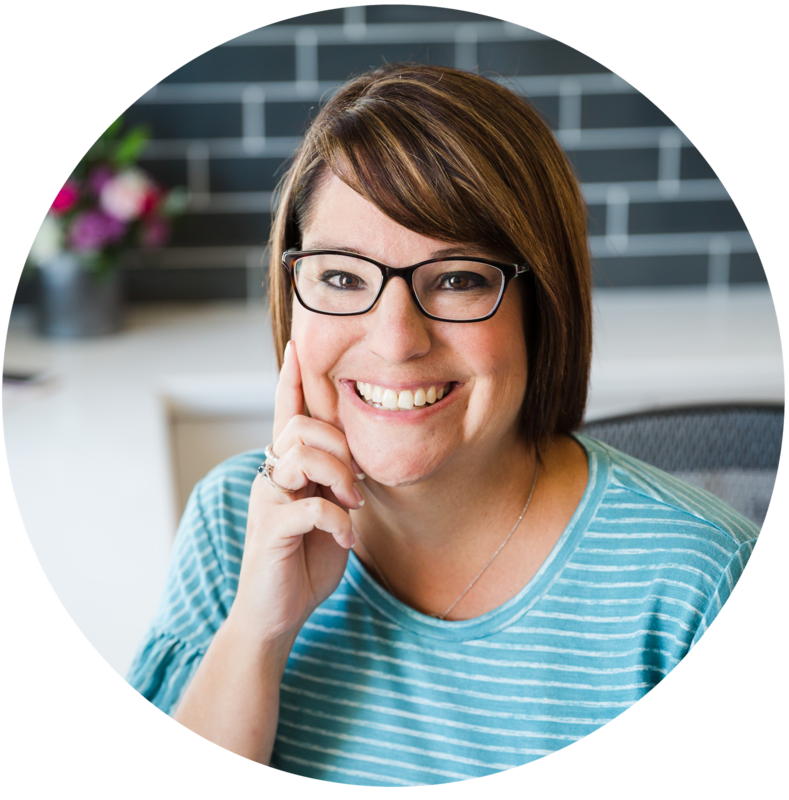 Do you need to practice procedures and expectations? The number one way that I have found to improve behavior during center time is by spending TONS of time teaching and modeling the expectations. You can make anchor charts about what center time should look and sound like. You should have students modeling the each procedure (taking out materials, working, transitions, putting materials away, etc.). 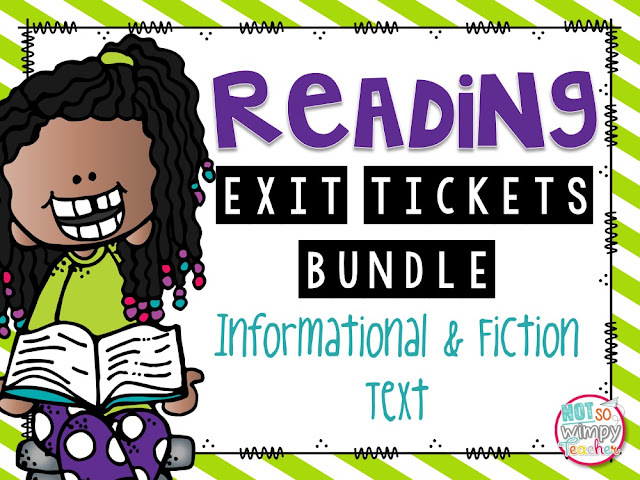 You can read exactly how I teach the procedures by clicking HERE. Even if you have already taught the procedures, you might need to go back and review if lots of your kiddos are struggling with behavior during center time. I like to do a quick review after long breaks! Do you need to use rewards? Some students are highly motivated by compliments. Make it a point to compliment students who are on task. I also like to make a big stink about choosing the "math group of the day." I don't even give them anything. They just get excited because kids are naturally a bit competitive. 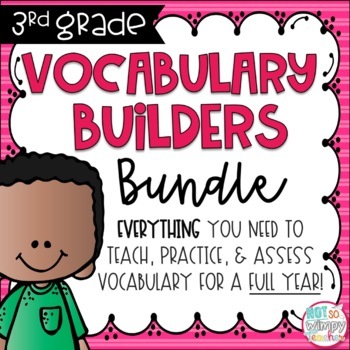 You could also offer small rewards for students who meet their math center goals. My favorite reward is a brag tag. 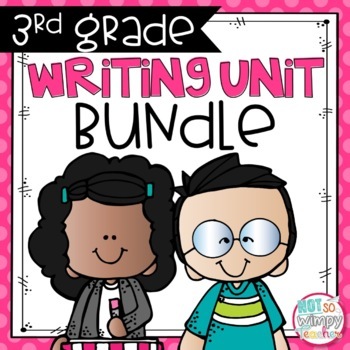 Other options are Dojo points, class money, positive notes home or the use of special school supplies for a day. Do you need to use your classroom behavior system? If you have reviewed the procedures and given rewards- don't be scared to use your behavior management system. It is there for a reason. Hopefully if a student has appropriate consequences once or twice, they will improve their behavior. What should I do if the math centers are too challenging for some students? There are several ways that you can ensure your students are successful with their center work. After all, we don't want them to just be time fillers! Are you using centers as a spiral review? Students will do best working independletly when they have had instruction and practice with the skills from the centers. For this reason, I use my centers as a review. In class we may be working on our division. unit, but during independent centers students are working on multiplication. This gives us time to practice division as a whole group and during small group before they are doing independent division centers. The review is so good for them anyway. We don't want them to forget everything after we finish a unit! Are you taking advantage of math small group time? If you notice a group of kiddos who are struggling with a particular skill or center, small group is a fantastic time to give them a little assistance. You can model a problem and then have them work together on the others with the group. Hopefully the extra help will be just what they need to understand and remember the skill in the future! Sometimes they just need you to help them to get started. Some of the center activities are going to be more challenging than others. They are all on grade level, but not all of your students are on grade level. You may need some modifications. The easiest way to differentiate the centers is to cross out a couple of the most challenging centers for those students who are not ready for the particular skill. The students will still be participating in math centers, but they will just have fewer activities to complete. If you have students that are significantly below level, you might want to consider using centers from a lower grade level. For example, if you teach third grade and you have a couple students who CANNOT add, you might want to get the second grade 2-digit addition centers for them. The good news is that the centers and the center books do not have the grade level listed. They won't know that it was intended for a second grader. Students are more successful with activities that stay consistent. If they have to spend lots of time figuring out the directions and format of a center, they are going to be less likely to spend the necessary time doing the actual math. 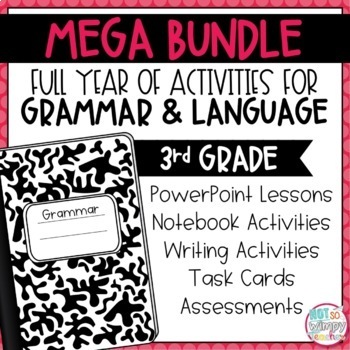 I gave my students the same centers all year. I changed topics about once per month, but the look, directions and expectations stayed the same. Students are more successful as the year progresses and they get used to the centers. It also saved me lots of time teaching the directions. What should I do if students are not completing their centers? 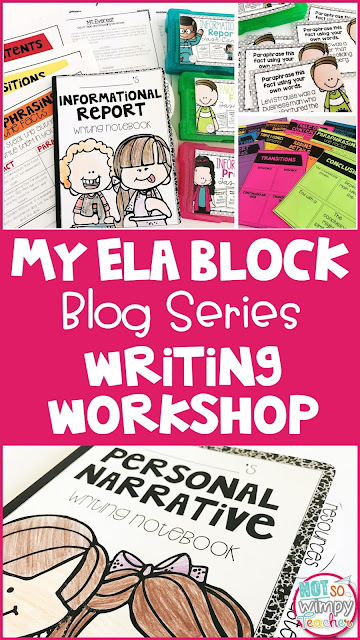 First, it is important to decide why the student is not completing the work. Have they had sufficient class time? If lots of your students have not finished, then you might need to give the class more time. Based on my math center schedule, it takes my students 3-4 weeks to complete a set of 10 of my math centers. You may have to experiment a little and observe the class to determine the length of time the vast majority of your students need to complete the centers. If you look around and see that most of your students are done you can announce that all centers will be due in two days. Give some warning. Are the skills too challenging? Some students might be extra slow because they are struggling with the skills covered in the centers. The best way to avoid this is to give center activities after you have completed the unit in your curriculum. You can read more tips about helping students who are challenged in the section above. Are they using their time wisely? If you are noticing certain groups or students that are not using their time wisely, you may need to go back to the basics. Sometimes students are not clear on the procedures and other times they just need to be reminded. 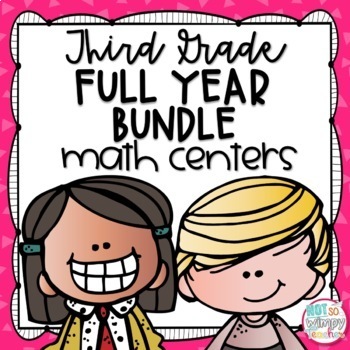 Pull the whole class back together and rehearse the procedures for math centers again. 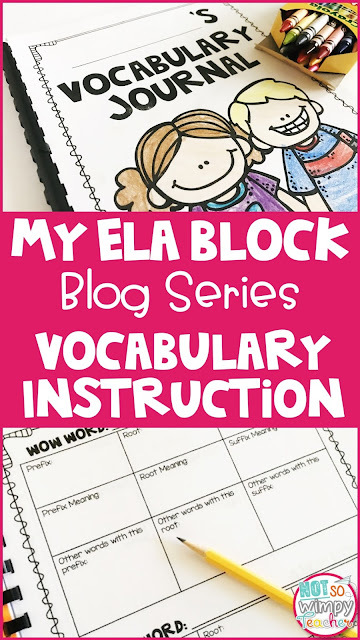 You can click HERE to see how I teach the procedures to my students. This is time well spent! 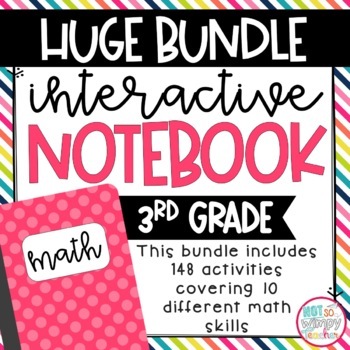 It is an investment into your successful math centers for the rest of the year. What should I do if students are losing the center pieces? Are center pieces easy to identify? Students will be much more successful when putting center pieces away if it is easy to tell what center the piece belongs to. 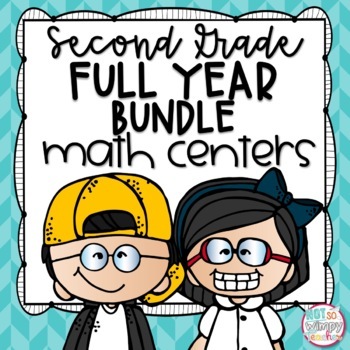 If you use the color version of my math centers most pieces are labeled with the number. Some are too small to label, but each center has the same background paper design and clip art images. If you are using the black and white versions of my centers, you might want to print each center on a different color of paper. You can also have a couple students help you to write the center number on the back of each piece. 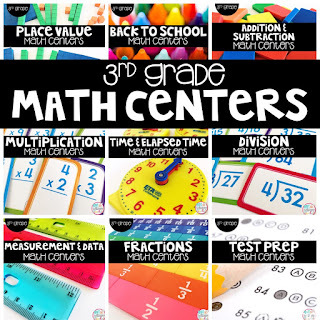 Are your math centers easy for students to access and put away? Students are going to lose less center pieces if they are very clear on where the center pieces belong. 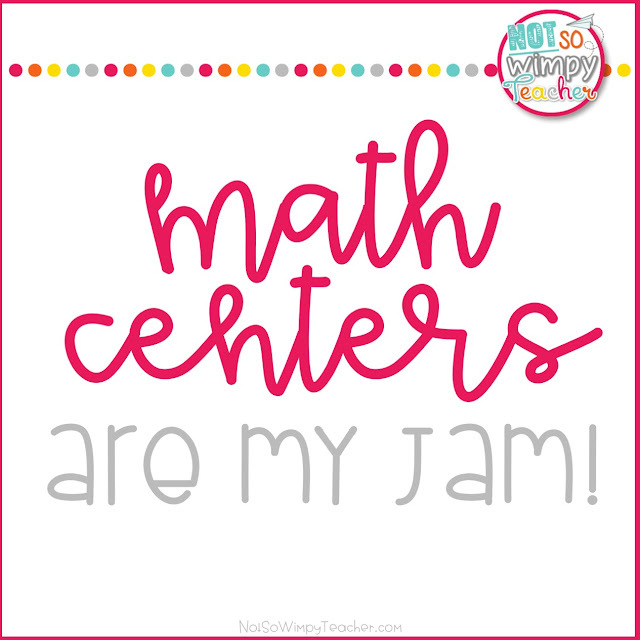 Make sure that you have your math centers organized and labeled! 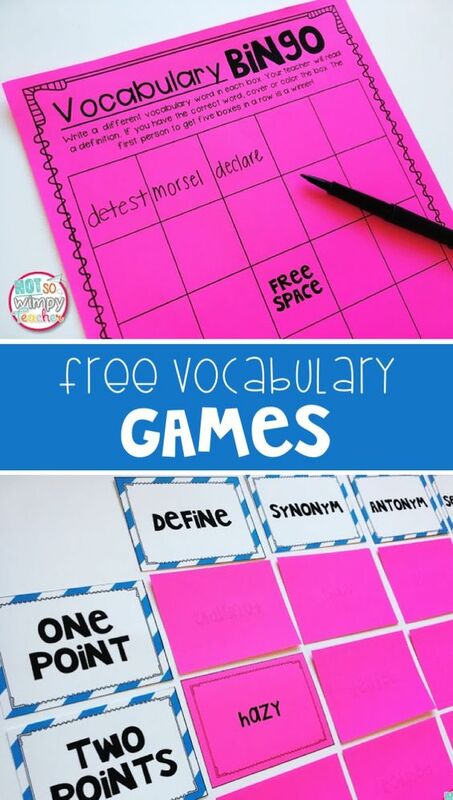 Click HERE to check out some organization ideas and free labels. Do they need to practice? 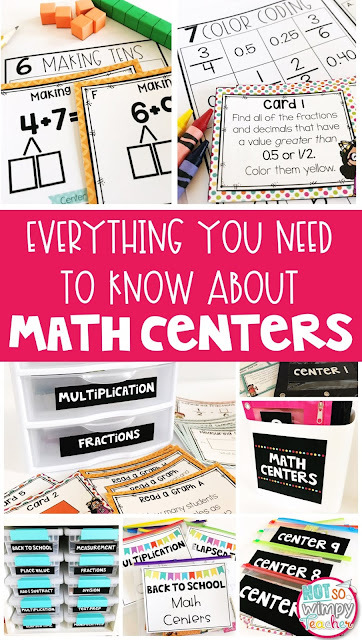 You should practice the procedures for putting centers away when you start doing math centers in your classroom. But, you may need to take time to review. Show students exactly how you want it done. Have a couple students model how NOT to put the materials away. Discuss their mistakes as a whole group. Then have the same students put materials away perfectly. You can read more about how I teach the center procedures HERE. Where are students completing the centers? If you are having a big problem with missing pieces, I recommend that students not do the centers at their desk. It is just too easy for pieces to fall between the desks of get caught between some papers or a notebook. Instead, designate a place on the carpet where centers are completed. 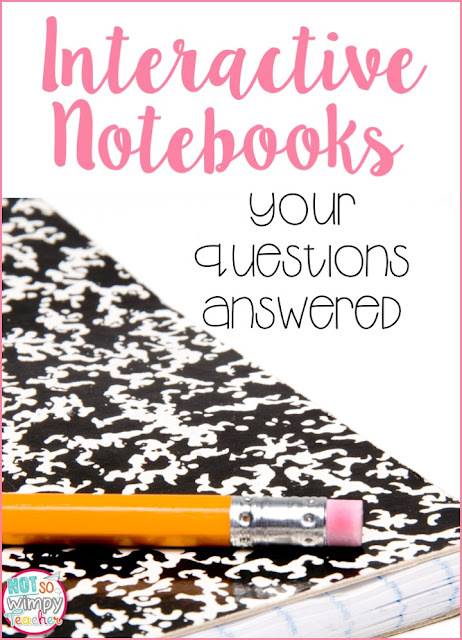 Students can bring a clip board for recording answers. If the centers aren't being moved around the classroom too much, you probably won't lose as many pieces. Can you make it into a competition? Kids have a natural competitive streak and I like to take advantage of this in a positive way. Have your class competing against themselves. Can they go five days in a row without you finding one single math center piece on the floor after center time? Keep a tally of days on the board. If you find a stray piece, erase the tally marks and they start over. When they get the five days in a row, maybe they earn an extra five minutes of recess or free time on Friday. After they have mastered the five in a row a couple times, raise the ante, Can they go ten days in a row? Make it fun! Celebrate successful days! 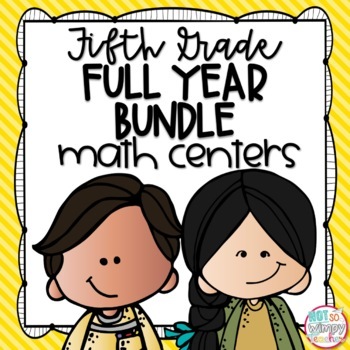 I hope this has been helpful and that you have some new ideas and strategies to make your math center time even more amazing! Math centers rule!